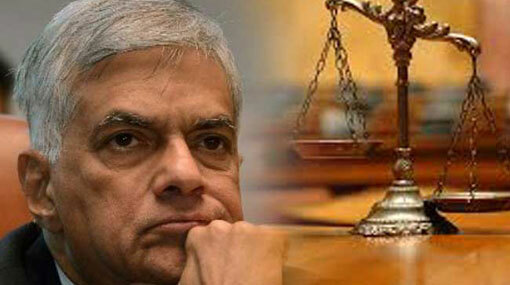 The Court of Appeal has ordered to take up the petition, seeking Quo Warranto preventing Ranil Wickremesinghe from being a Member of Parliament, on January 31 for confirmation of submissions. The petition, filed by Sharmila Gonawala, the Co-President of ‘Women for Justice’, was taken up before Court of Appeal judge bench consisting of Justice Arjuna Obeysekara today (22). The petitioner states that PM Ranil Wickremesinghe is a shareholder of Lake House group and that Lake House Printers and Publishers PLC, a company in that group, is engaged in the business of printing of check leaves for the state-owned Bank of Ceylon and People’s Bank. The petitioner hence argues that by doing business after entering into contracts with Bank of Ceylon and People’s Bank, as a shareholder of Lake House, Ranil Wickremesinghe has become ineligible to hold a seat in parliament. She states that as per Constitutional provisions, under this condition Wickremesinghe is not qualified to hold office as a Member of Parliament (MP). She has further sought an interim order preventing PM Wickremesinghe from Parliament sitting and voting.